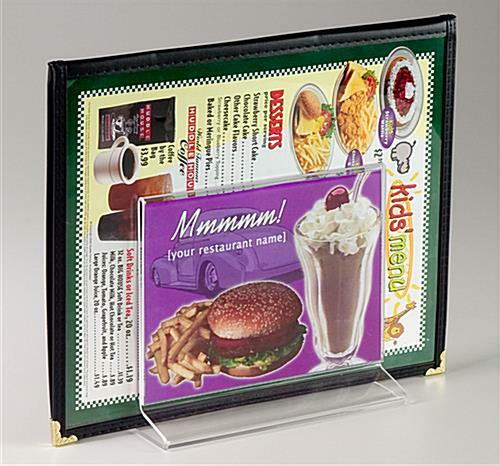 This restaurant menu display features a unique design that accommodates two 7" x 5" signs as well as a channel to house additional menus. 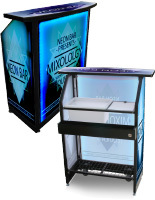 Casual dining facilities use this table tent to promote new food items, or to advertise drinks on tap. 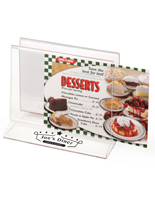 This restaurant menu display, also called a table sign features a fold-over acrylic construction that is durable and relatively inexpensive. Sign change-outs are simple, and take just a few seconds to complete. 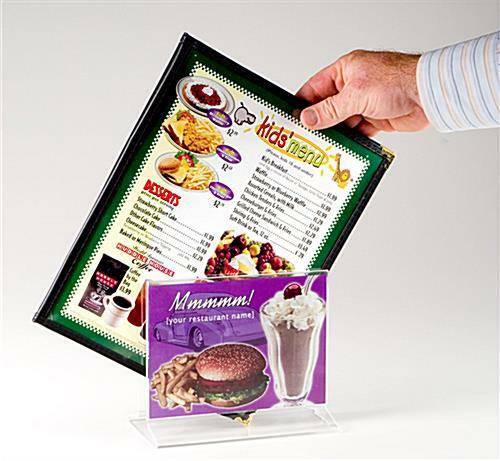 This restaurant menu display, acrylic frame features open ends to allow the user to slide the old prints out. There are no plastic clips or fasteners to contend with, just a slight bend of the frame and the inserts slide in and out. 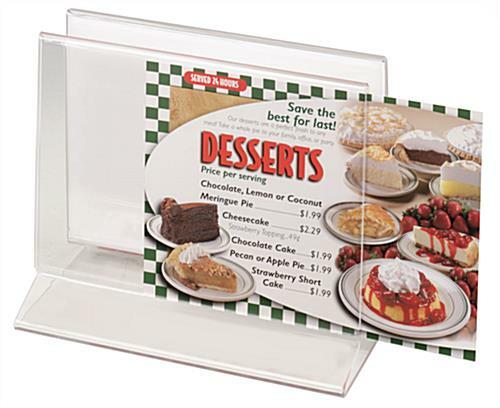 Each restaurant menu display features a one inch gap in between the two sign frames that is typically used to organize menus on the tables. 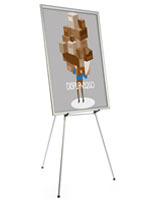 The 7" x 5" frames provide adequate support, and doesn't take up too much space on the tabletop. 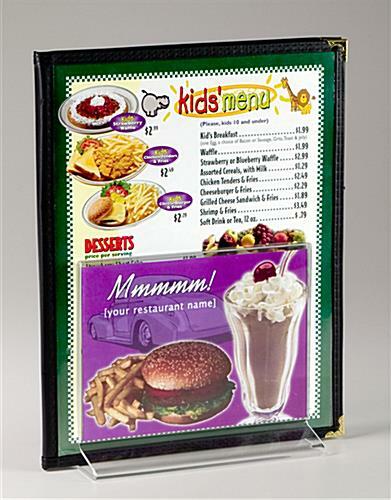 This restaurant menu display is offered with a custom print option. 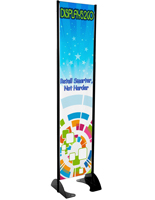 Dining guests will appreciate the personalization on this table tent, and will likely notice the promotions or specials on display. 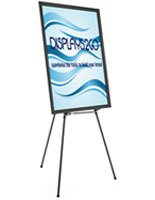 This restaurant menu display is ideal for use on a bar where space is limited. 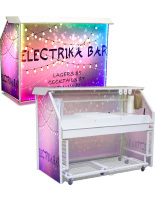 This table tent is like getting two units for the price of one! 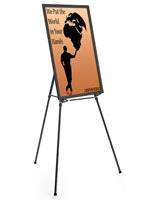 Choose this restaurant menu display, acrylic sign frame to both promote and organize on your tabletops. 6.5" x 6.0" x 3.5"